Boku on Cozy Games - Discover pay by phone bill!! For a couple of years now we at Mobile Bingo Bonuses have been raving about the banking method pay by phone bill. We have seen a sharp increase through 2015, in the number of bingo and casino site operators taking on the simple and efficient format. But the news that you will now see Boku on Cozy Games has added an extra-large smile to our faces, because if that’s your preferred payment method, then you’ll have over 50 extra bingo, casino and slot sites to game on. If you’ve never tried the incredible Aunty Acid Bingo or Scrummy Casino, then your gaming experience may just get much more exciting. Boku on Cozy Games – what is Boku? You may have heard of Boku or even Payforit when you’ve been registering or playing on your favourite sites. But if not, then let us explain why this banking method is ideal for many of you out there, due to its safe and easy system. As we’ve already explained, Boku is a company that offer payment through your mobile phone bill. This means that you can either use up any unwanted mobile credit or can add the credit to your mobile phone bill and pay it off when your bill is normally due. Step 3 – Away you go! There is a daily cap when you begin using Boku, but this will increase the longer you’re with them. Plus you can also use other forms of banking at the same time and balance out where your credit is coming from. As a precaution we always recommend that you check your mobile provider accepts Boku as a payment. From our research we’ve found that most of the top providers such as O2, Virgin and EE all accept payment via your phone bill; but it’s worth making sure. The best part of paying by phone bill are the many benefits! For many of us banking online is a terrifying experience, due to the private details we have to provide and the increasing amount of fraudsters and hackers around. Unfortunately if we want to play any of the amazing bingo and casino sites around, we have to give them our bank details. Not just once but every single time we register with a new site and enjoy their generous welcome bonuses. If you’re paying via Boku then that all changes, because they simply require your mobile number; so you can breathe a sigh of relief that your financial security is that bit tighter. For many of us the last week before payday means a reduction in playing the games we love, through lack of money. This is where Boku will become your saviour because you can either use up that old credit you know you’re not going to use, or add it to your phone bill and pay it off when you receive the bill through. From our research we’re not aware of any interest charges incurred on this form of payment. We do strongly remind our reader about the ‘When the fun stops’ campaign, because although this is a simple method of gaining bonus credit for a period of time, you will still receive that phone bill to pay off. Many of us have been through the situation where we have old credit we have no idea how to use. We’ve called everyone we can think of, twice and we still have a large amount left over. 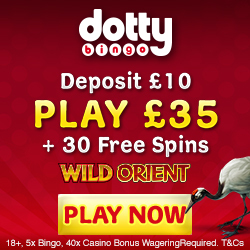 Well why not use it up on a great bingo or casino site? 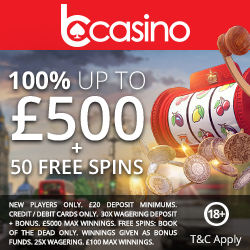 The credit is converted into gaming credit and any winnings will be placed into your account for future playing or to withdraw (T&C’s apply). The fact that Cozy Games has introduced Boku means that this payment method is definitely in for the long run on gaming sites. So why not get in there early and enjoy the many benefits of Boku banking; you’ll soon realise why we’re huge fans!